Ever have one of those shoots that seems to never go as planned? Ever have fail after fail but you have to maintain your focus just for the client? 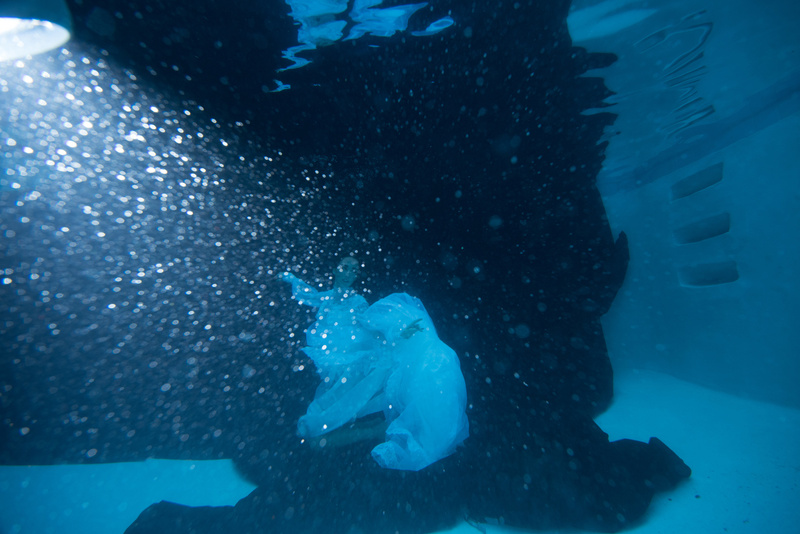 This can happen with underwater sessions in a matter of minutes. When you are dealing with something as beautiful but chaotic as water, knowing you have the tools to fix the issues will help regain your sanity. 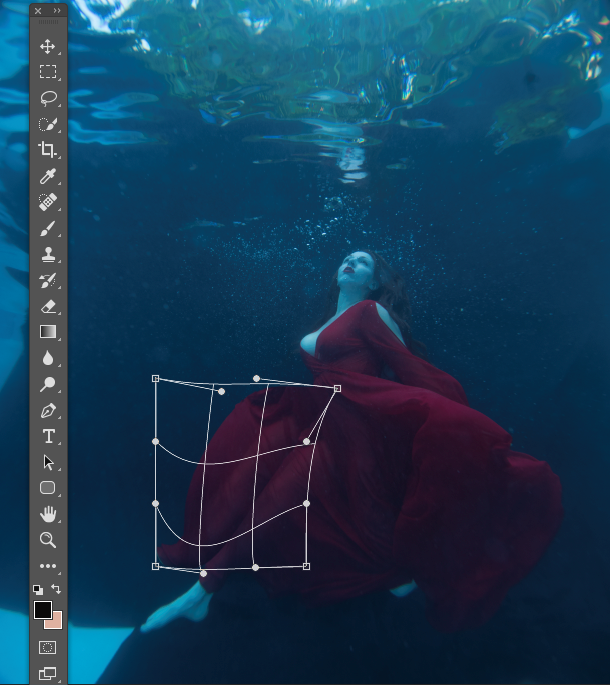 When speaking to many photographers, I have heard the biggest fear of underwater photography is the massive editing they might have heard comes along with the territory. Perhaps it is not as daunting as you might have initially thought with a few small tips. 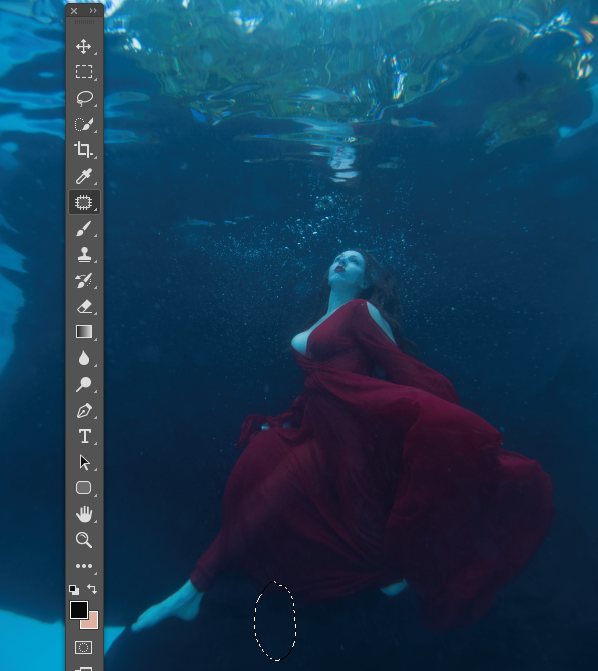 Creating as much as you can in camera is always important but being underwater can sometimes find you with challenges which some small postproduction to help save the shot. Most of my underwater "before" images never see the light of day, mainly because I prefer the illusion to stay a mystery to the viewer in many of my composite works. However, this go around was not a composite but a great time to break down what it takes to save the session and create a killer shot. Shooting in a new location is always tricky because you each pool will be different, just as each type differs in open water. 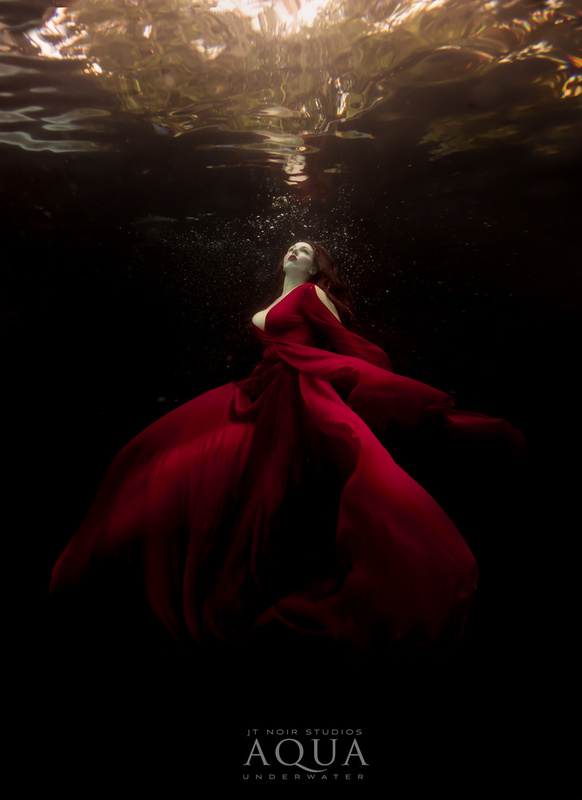 During an underwater workshop I was teaching in Miami, my photographer friend Beth Claire and I decided to take her latest find from the South Beach shopping strip and of course, submerge it. 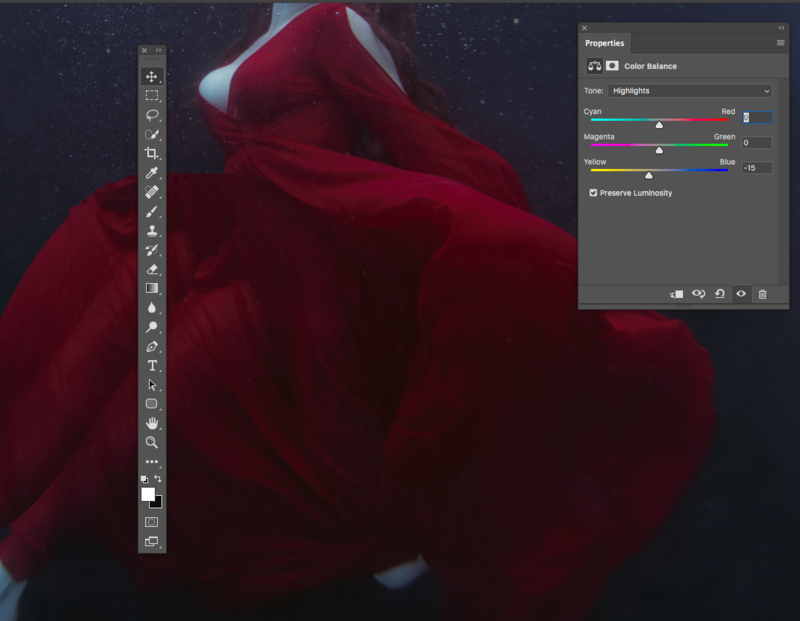 The first color lost underwater is the red wave lengths so using a dress in this shade will make a bold pop in any underwater image. There were some challenges I knew would be coming as is with any underwater shoot, but this time around many were my own doing. Going forward I will be purely honest as I feel sometimes the best way to learn is to know how not to do something. I am a stickler for being prepared, yet this trip my fails seemed to come in herds. First I failed to remember to check if the pool at the Airbnb we were renting had a timer for cleaning. So when I awoke to start my set up, I saw the pool water being sloshed around and all my backdrops were off their clamps. The image below shows just what was happening with the strobe facing down to illuminate the particles in the water column. Shooting underwater, it is preferred to have a calm environment which is why I do not allow anyone but the client and myself in the water at the same time. The more movement there is will result in more clarity issues. The workshop I was teaching the day before left me tired and worn out from eight hours of underwater shooting. Did I remember to charge that battery for the on-land strobes? Nope. Did I remember to replace the batteries for the underwater flashlights? Nope. 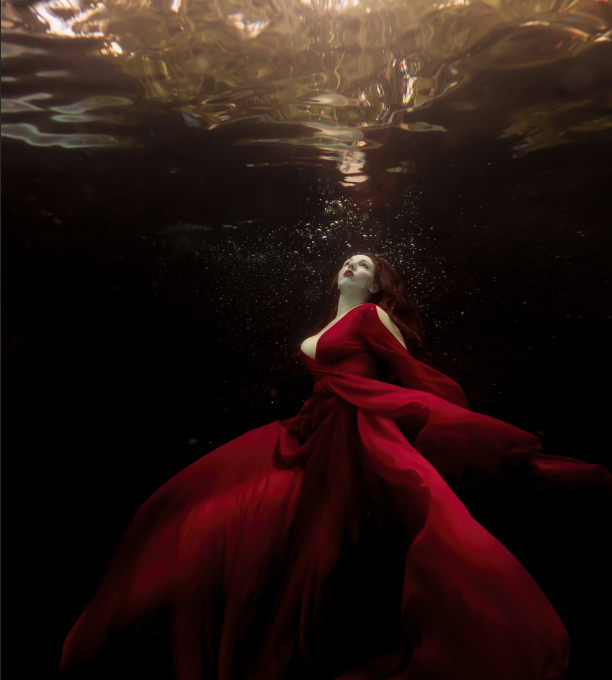 Thankfully I still had a charge on my underwater strobe which left me with just enough juice to shoot my model for a few shots we knew would be amazing in her red dress. We shot with only some ambient light making its way through and one small strobe to get the shot. This one is minor but getting it right in camera would have been great to worry less about cloning. In my attempt to rush to fix the backdrops the pool cleaner had a field day on, I failed to make sure it was edge to edge. While this can be a minor detail, weighing the backdrop down properly will save you from the hassle of fixing it in post which can be time consuming if the backdrop is covering part of the model's body. Nothing is more irritating to a underwater photographer than to have to reconstruct a few toes. Along with the pool timer, this shot was created the day after my workshop so the turbidity was quite stirred up and visibility was reduced in the water column. For this reason I kept the model close to the surface and myself as close as I could to her. Shooting from the floor of the pool upward also allowed more ambient light to fall on her face with her ascending towards the surface. I personally prefer shooting on their movement upward so the dress and hair will flow in a more pleasing way, especially since I will want to use the fabric to create a larger dress. Shooting closer to the surface will also create a reflection of the model which can add a bit of drama as well. If you want to create the look of being in a deep abyss of water, you need to only go a bit further where the reflection is lost. You can create two completely distinct images by only moving two feet under the surface. Notice the clamp under her dress. This acts as a great way to hold material down and preventing it from flowing upwards over her face. 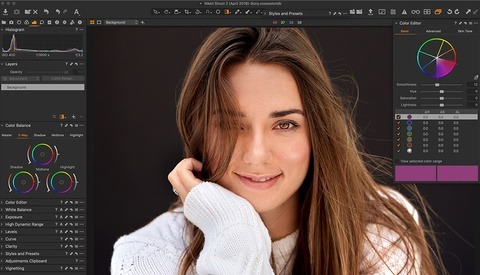 An easy clone stamp or patch tool will remove this in seconds. This tool can also be used to fill in the gaps where the backdrop floated around a bit. Before working the colors back in I knew I wanted the dress to be larger. This is something I will do often to create that dramatic surreal look. Using a form of distortion with either warp or puppet warp the dress can be maximized and brought over her feet. I do encourage my models to keep their feet free of the material for safety and explain I will cover them later on. Knowing I only had a minimal amount of light on her the colors would be drastically lost. A little help from color balance to paint back in was in order. Make sure to play around with all options in the color balance section with highlights, midtones, and shadows to get your desired look. A bit of work was in order on the backdrop due to the clarity issues (or may I say, my fails). Using levels and masking them here will help. The final touch will be to reveal what might still be lost. 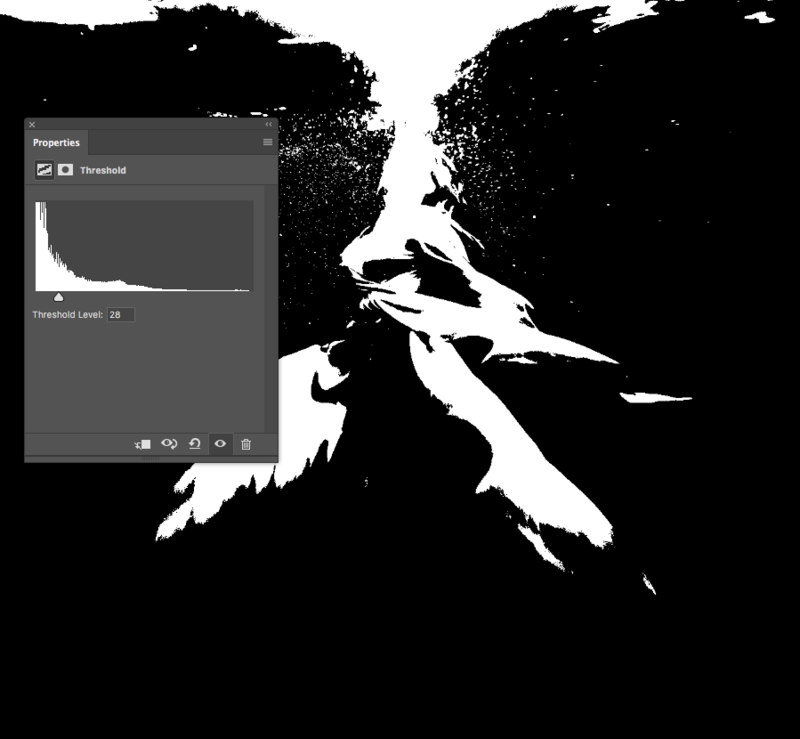 Using the threshold adjustments layer will show where you still need to work on. A few spots on the dress, hair, and backdrop to clean up before finishing. I always extend my canvas to give the look of being in deeper waters. It allows for a more surreal and ethereal look. Having clarity issues is not the end of a session if you can shoot it the right way underwater and add a little help in post. Note: With the amount of fabric being used on the client or model, it is a safety hazard so I highly recommend having a trained lifeguard on deck at all times. Great stuff, I enjoyed the behind-the-scenes explanation of the process and how to overcome the inevitable fails. The final image is great but for one aspect that puzzles me. Why make the water color almost sepia? I spend a lot of time underwater (on reefs not with models) and am always working to get the right blue for the water when balancing ambient and strobe light. So this looks unnatural and even a little distracting to me. Otherwise I love the shot! Robert thank you for reading! For this image it was a personal preference. I gave the top surface a more golden look to pull the land aspects back in. The original had hint of yellows and gold at the top so I didn't want to leave those out. There are trees clearly visible above the water. If you've ever seen shots of freshwater/swamp fish, like catfish or something, it definitely has muddy green/brown tones in the water. 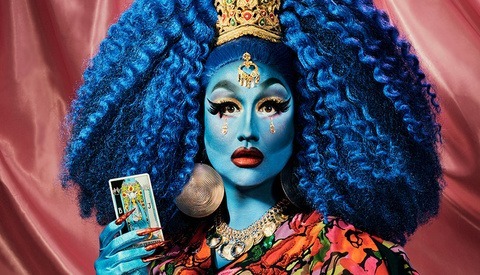 If anything there is still a little too much aqua in the shadows on her face I think. But if def feels more like a creepy shot of swamp ghost like vibe. Good stuff. I see! When I'm underwater there's usually no land in sight so it was unexpected. Thanks for the insight. BTW I really like your UW work with models. That's gotta be tough, because we all know what people "should" look like even in an unfamiliar environment. When I show my UW wildlife photos, most people don't have a preconceived image in their heads so are viewing something exotic and are maybe more open to surprises. Thank you Robert ! I would love to see your wildlife photos if you can link here. Do you have a behind the scene shoot description? 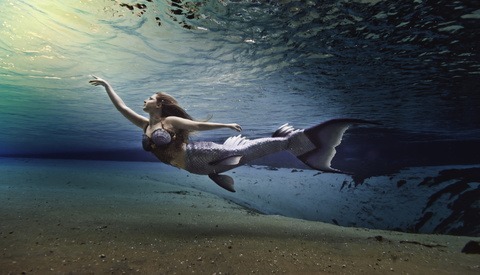 When i did my first underwater shoot, i could not find any info about 'out of water strobes' or led flash lights, etc. I DID find some underwater LED flashlights for mine, and it helped, and I found fome of the large construction site style halogen lights to shoot down into the water from a side to try and build a directional light, but id have rather used strobes, but the things i read said you could not use strobes because water blocks the radio waves.